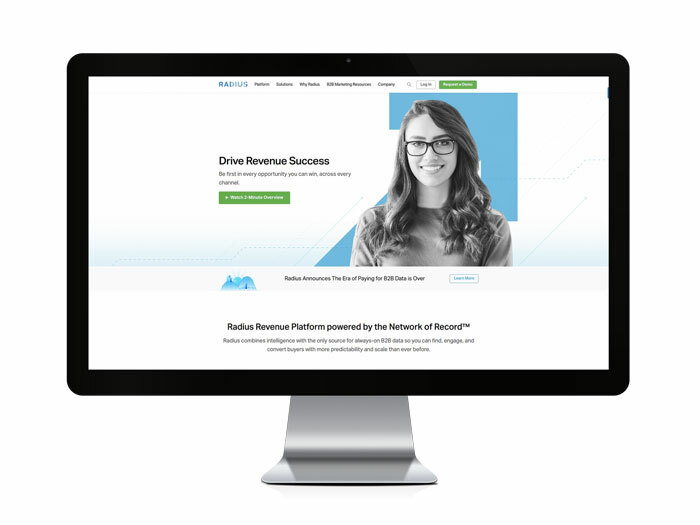 The Network of Record is a consortium of aggregated and anonymized data—contributed by Radius clients through their CRM and marketing automation platforms—that syncs every 30 minutes and matches about 525,000 records per hour, the company said. A total of 2.3 billion records are aggregated from numerous data sources every two weeks. Customer Network: Radius connects hundreds of companies’ B2B applications that contribute more than one billion “anonymized” business interactions that are matched and aggregated to validate and expand the richness, accuracy and breadth of the data. Business Graph: The Business Graph includes data on more than 18 million businesses and 37 million contacts. Each business contains more than 100 attributes on average. Always-On Data: Contributions from clients to The Network of Record increased 37% in connected records and increased 41% in contact records in the past six months. The information is accessible on-demand and updated consistently. Business-to-Consumer Profile Matching: The Network of Record identifies contact attributes between business decision-makers and their personal profiles, enabling marketers to execute campaigns that incorporate additional profile information. Data Quality and Coverage: Data has a 90% accuracy rate on core business attributes through partnerships with Datapure and Hybrid, and more than 90% of the businesses are reachable through multiple channels.